Natural stone is very popular in 2017 for kitchen decoration projects. The material stands out, yet has the potential to blend in perfectly. 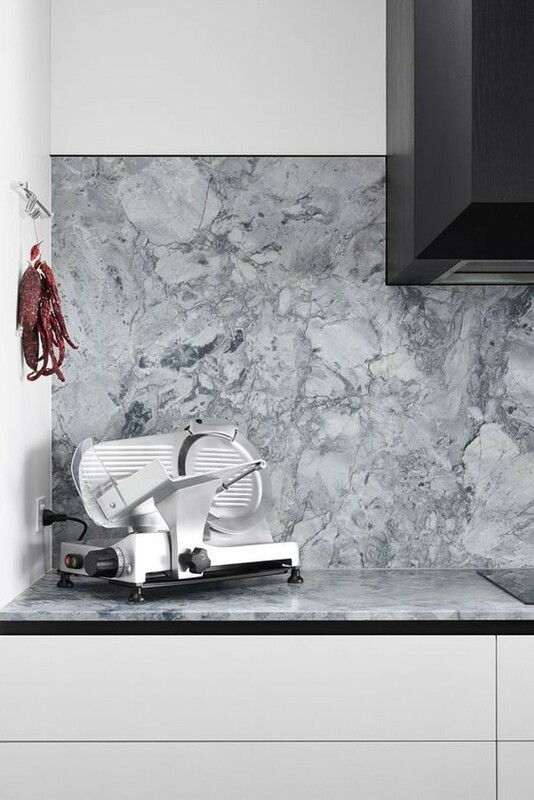 For example, white stone with grey veins looks natural in a grey based interior, yet the white stands out. The cream veins match perfectly a cream interior, yet white remains dominant. 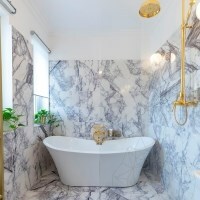 This is true for marbles such as: Black, Thassos, Volakas, Calacatta Lilac, Burdur Beige and Tundra Grey and slate tiles (Nero or Riven) or granite (Extra Blue or Padang Dark). 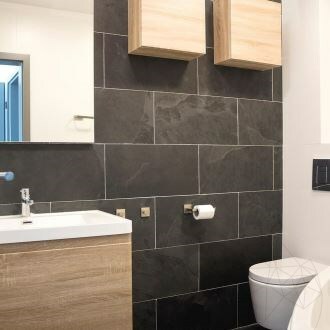 Usually, marble and granite are used for countertops, cladding furniture or flooring, but slate is also used for the latter with excellent results. Photos below feature mainly white, grey, navy blue and rarely cream. Natural stone fits perfect with well-polished natural wood, because it highlights furniture and accessories. Apart from an amazing beauty, kitchens decorated with natural stone have remarkable durability. 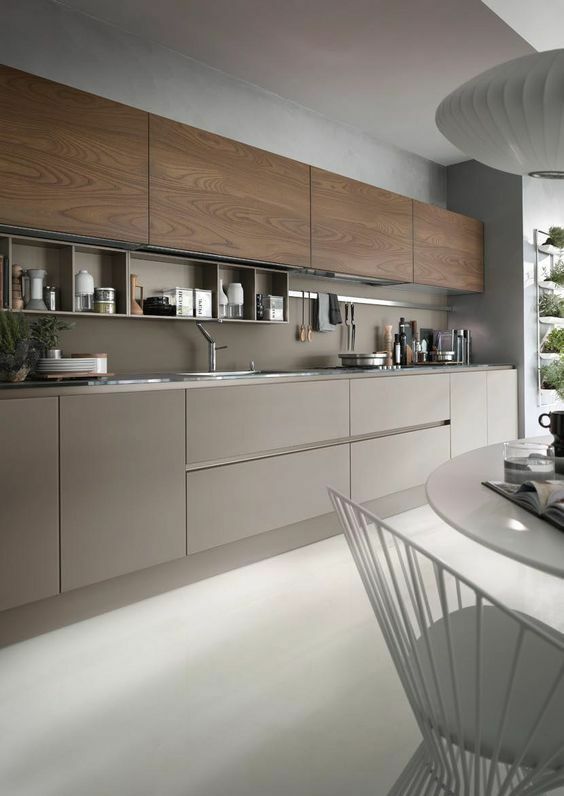 The minimalist design can be maximum exploited with many kitchen decoration ideas. If natural stone was always a good companion for the wood, now it is a fine match for iron. The tradition is reinforced by fresh decoration ideas and a new trend: industrial minimalism. Influenced by this, plumbing and other kitchen installations are left on sight. Well highlighted faucets have to be bulky and chrome or golden plated, yet without former rustic touch. 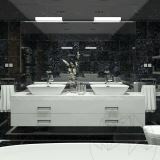 Luster of natural stone and monochromatic look highlight presence of metal surfaces. 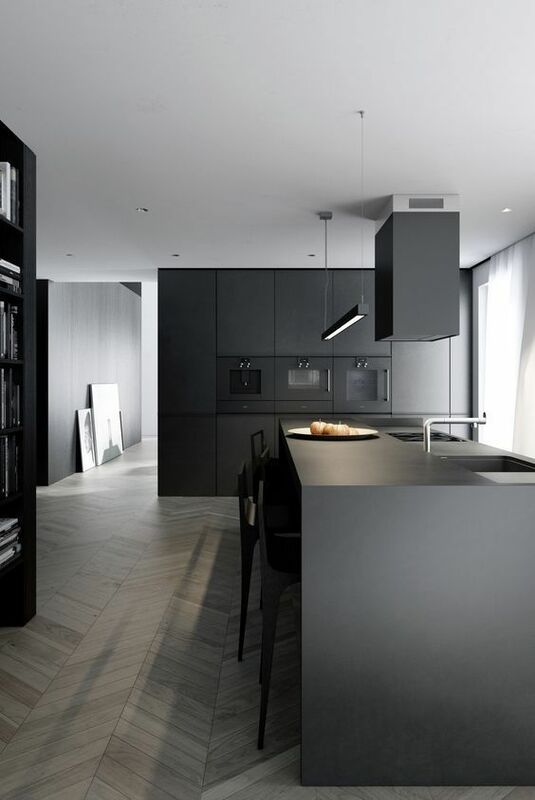 Even better, technology also stands out: kitchen gets large display equipment, utensils have the already discussed colors, stands are scarce and design, as simple as possible. 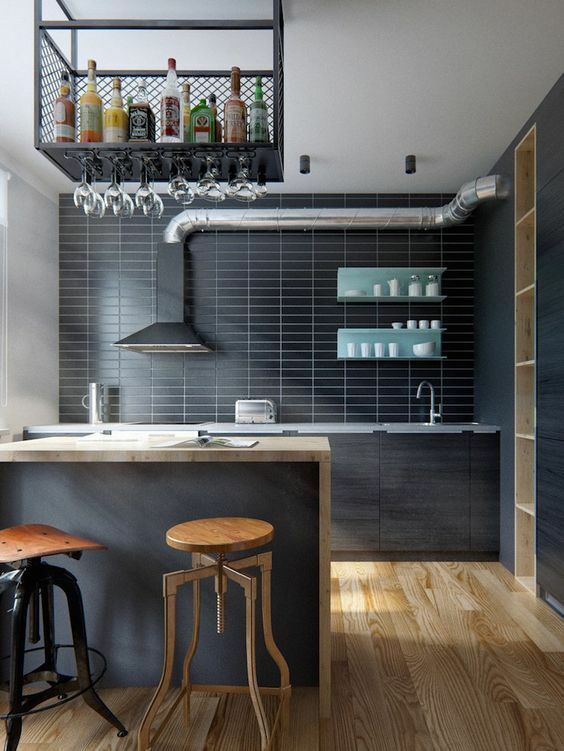 Another trend in industrial design kichen decoration is the exposed wall brick design. Everything is simple and exposed: plumbing, brick, flooring, countertop and splashback (from veined marble). 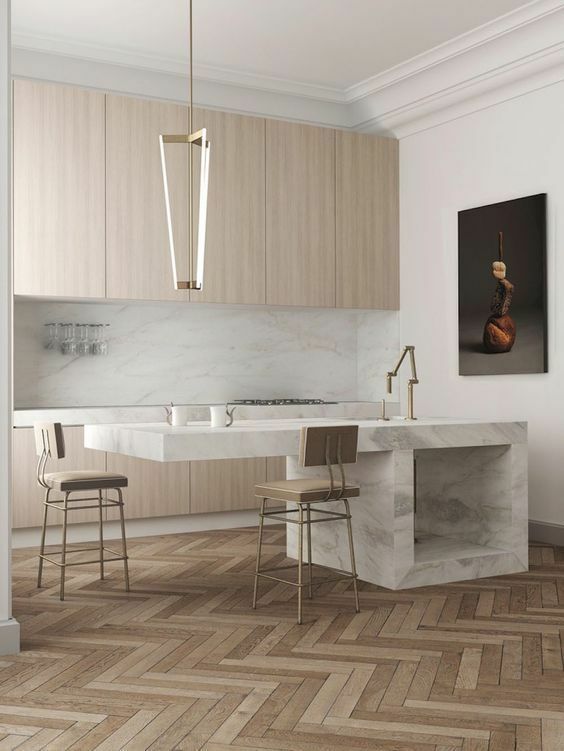 Maybe a white room is the most typical image for this new trend in interior decoration (not limited to kitchens!). 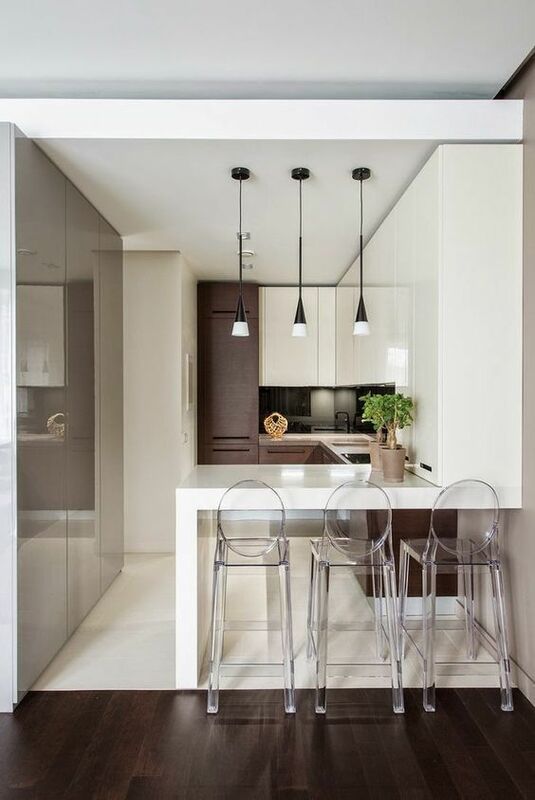 Kitchen with white cabinets, refined lighting and cladded with marble (Tundra Grey or Thassos) is perfectly balanced by chairs and lighting sources painted black or grey. For better emphasizing such a warm and friendly atmosphere, designers have a fresh idea. For stones with fewer veins we should reduce bumps in that area. This mean furniture with recessed handles, smooth and linear interiors and decorations minimized or removed. Not surprising at all, natural stone is a very affordable solution for our next issue. For hiding the cookware, you will need a pretty solid cabinet. And since this cabinet needs decoration, natural stone is best suited for this task, especially for chromatic unity and extra visual comfort. For variation, a section of cabinet is cladded with natural wood, thus achieving a combination of natural stone and bi-chromatic structure. 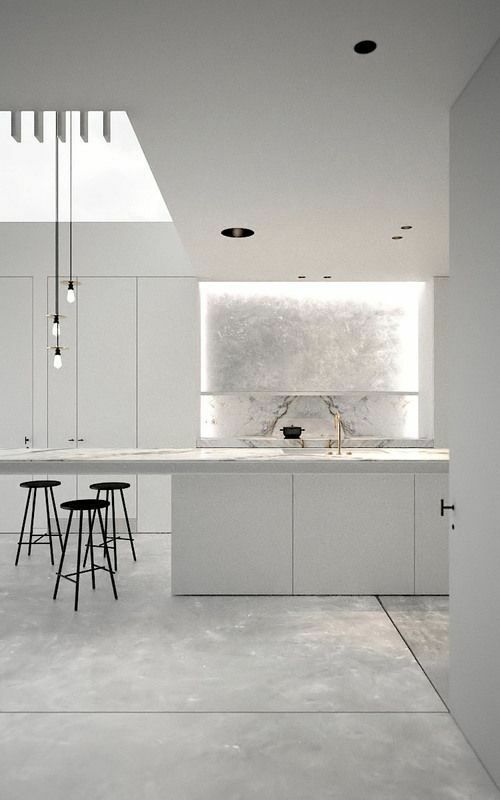 In 2017 light is important in kitchen decoratiion projects. Because light sets the mood with simple and compact design and few touches. 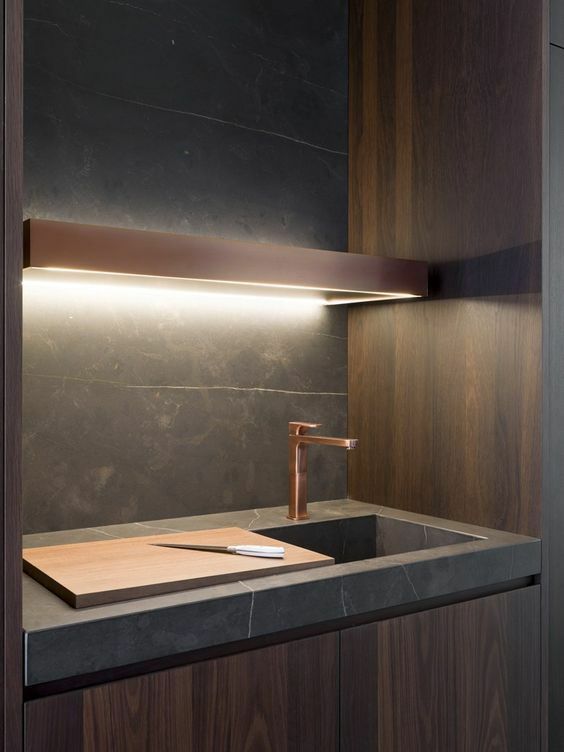 Shadows and semi darkness highlight traits of natural stone and light connects everything in a decoration project. Abundant light loses importance this year in kitchen decoration. 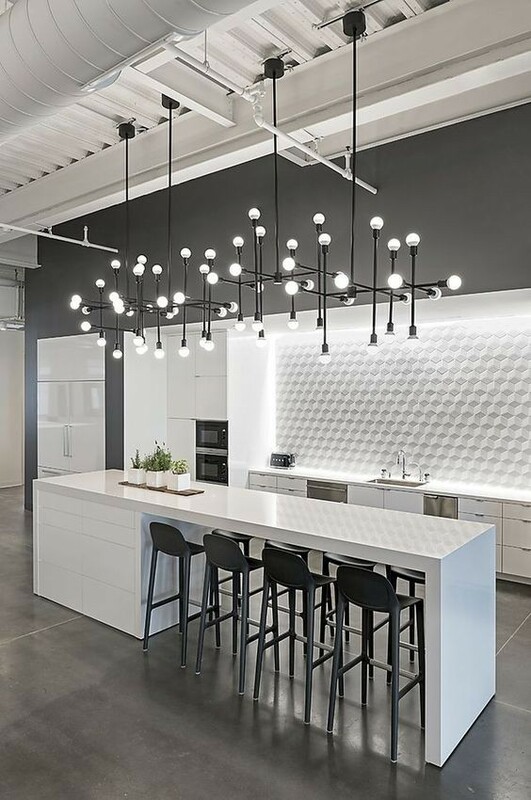 Small light sources, recessed in a smart way, are again in trend. Fragile light fascicles supply air into the atmpsphere and shape connections. 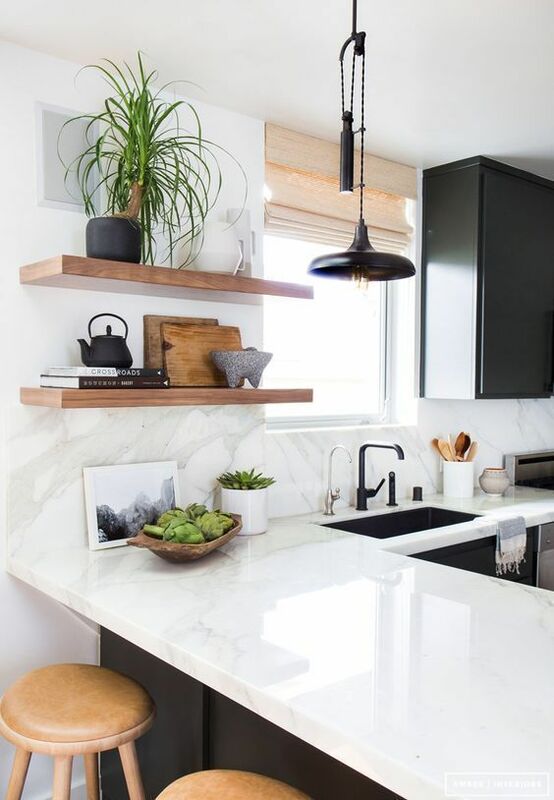 If you are looking for trendy ideas for kitchen decoration, natural stone is definitely the best choice. Why? Because, first and foremost it is durable and easy to maintain. Kitchens cladded with marble, granite or slate will last for generations, as long as aftercare is done properly. This minimalistic approach offers many ways for later decoration projects. 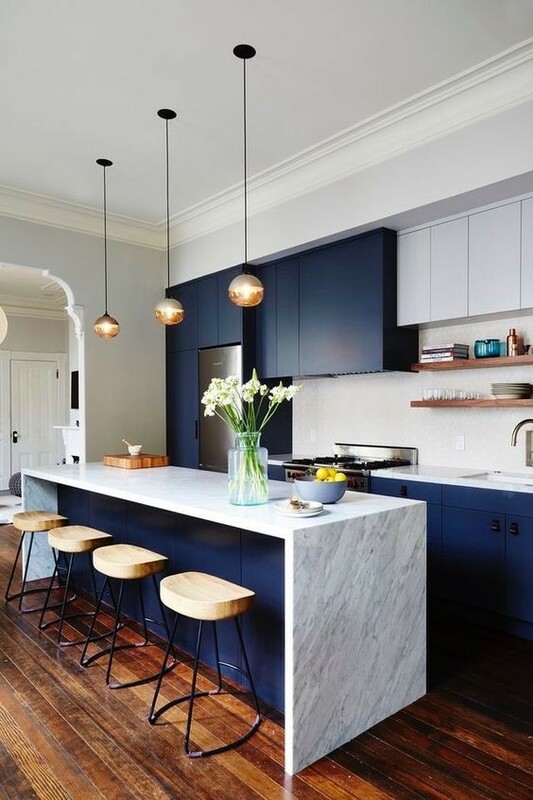 Actually, color accents and overview can be modified at any time with additional light sources, cabinets, kitchenware and chairs, based on your future inspiration. 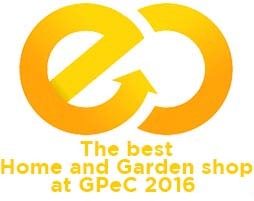 Natural stone is sustainable and will always be a proof of style and grace. “Trend is expressed by an interesting reclaim of the 70’s art deco, combining minimalistic shapes from that period with a constant and almost obsessive passion for details. The bulky cladding, popular over the last years is now discarded for high quality joints and combinations between colors and finishes. (Architect – Eduard Baicu Stanescu = “Phenomena”). 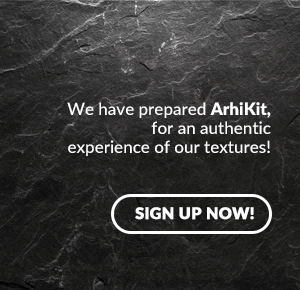 Looking for new kitchen models? 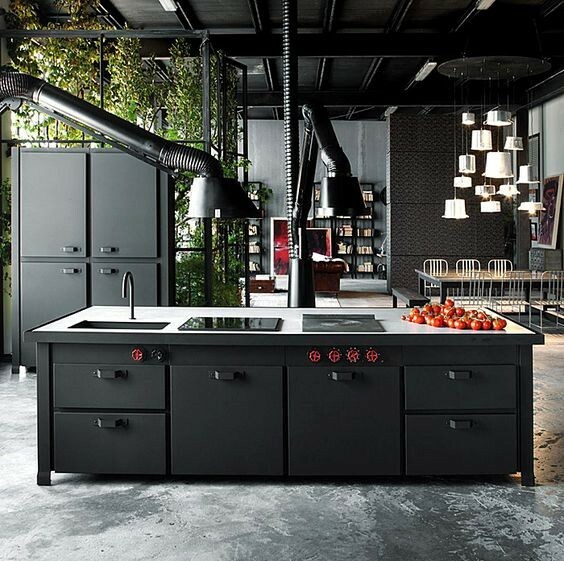 Refer to the text “New Hollywood-inspired kitchen models”. The DIY stores offer many kitchen models, all with same conformity and lacking particular tones. 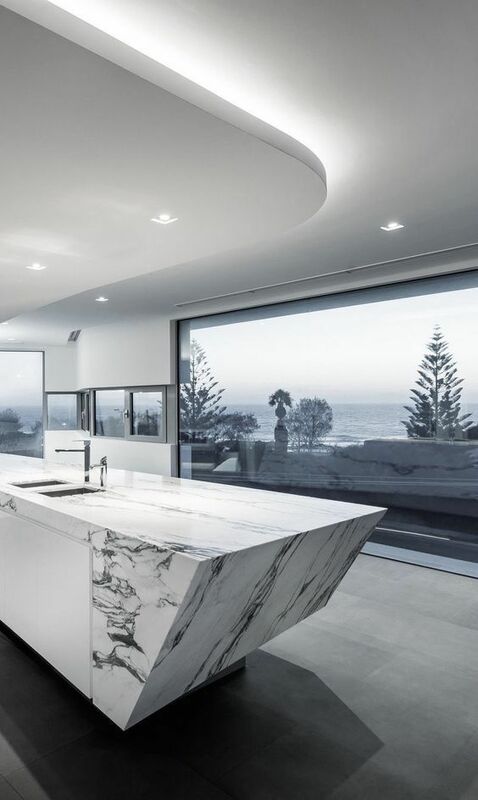 When cladding your kitchen with natural stone (for example Nero Marquina), this is clearly a remarkable project, very visible due to stylish look and well-defined vein shades on one side and marble specific luster on the other. 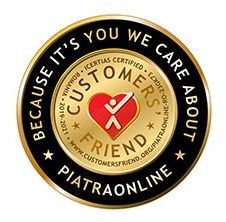 For further details on implementing natural stone in new trends for kitchen and interior decoration, and any question regarding natural stone, email us: export@piatraonline.com or by phone at + 40318 222 333 or better visit our showroom from Aleea Teisani nr. 137A, Sector 1, Bucuresti.